Water can be one of the most pervasive, damaging elements to any home. Water damage often takes a while to discover, and once you do discover a leak in your plumbing, it’s usually been leaking for a while. That can mean flooding, extensive water damage deep in your walls or ceiling, and a whole lot of clean up. Luckily, with today’s technology, we’re getting a little bit closer to stopping water damage before it starts, and though there’s no cure to the odd basement flood after a thunderstorm yet, there are leak detection systems available today that can save your home from major water damage in no time. An active whole house leak detection system constantly monitors the flow of water throughout your home, and will automatically sound an alarm and shut off your water the minute it senses something is wrong. 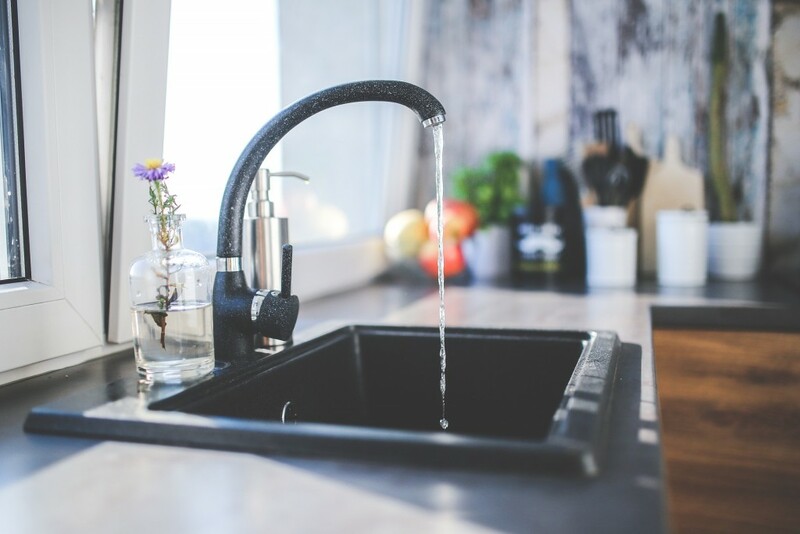 It monitors all water coming into your home, and though it may require a plumber to install, it’s one of the easiest, most effective ways to make sure you’re kept alert for any water leak in your entire home. Best of all, it stops any leaks in their tracks, immediately. A multiple point active whole house system alerts you to leaks similarly to the single point system, but instead of having one control panel that monitors all water flow through your home, a multiple point system requires that sensors be placed on the floor around all appliances and plumbing that use water. When the system senses pooling water at one of the sensors, the alarm will sound and the water will be shut off immediately. These sensors can be installed wirelessly, or they can be wired together, but in most cases, you’ll want to hire a plumber because it can be quite a complicated job. This system can be helpful because it will tell you which sensor is detecting the problem, making it slightly easier to fix. These leak detection systems are specific to individual appliances. They’re attached to appliances that can cause water damage if something goes wrong, like a dishwasher, washing machine, refrigerator, or water heater, and will sense the water flow to and from that single appliance. If the system detects something wrong, it will shut off the water supply to that appliance, and send you an alarm. These are great systems to have, especially if you have a particular appliance you’re concerned about. You can install them yourself, so no need for a plumber, either. The only drawbacks are that you’ll need a sensor for each appliance if you want your home to be fully protected, and the sensors won’t detect leaks in plumbing that’s not connected to that appliance. If a pipe bursts in the ceiling, for example, it’s unlikely to trigger the sensor unless that pipe is connected to an appliance with a leak detector. The least expensive leak detection system, a passive system, will alarm when a leak is sensed, but it’s not able to turn off the water. Similar to the multiple point system, a passive leak detection system makes use of a number of sensors placed around appliances that use water, and as soon as water is detected, the alarm will go off. The drawback to a passive leak detection system is that you have to hear the alarm, and do something to fix the leak to stop water damage from occurring. A passive system will not stop the leak or turn off the water. If you’re looking for a simple leak detection system that’s inexpensive and easy to install, a passive leak detection system is probably right for you. There are a number of water leak detection systems out there and though they all work a little bit differently, the bottom line is that they’re excellent tools to keep your home safe from water damage. Whether you have some older appliances, or you live in an area that’s prone to very cold, freezing temperatures, they’re a great way to make sure your home is as protected as possible. Whether you’ve got a leak detection system yet or not, check to see if your home policy includes coverage for water damage. The experienced agents at Doyle & Ogden can help. Give our office a call at 616-949-9000 or contact us online for your free insurance quote, and we’ll make sure you get better coverage at the right price.